We passed through Bakersfield, CA, on our way to Sequoia National Park. The air was stiflingly hot and dry, and we had to fill up our tanks -- both our fuel tank and our stomachs. The heat was draining. As we pulled into a Chevron station, things couldn’t have worked out better. 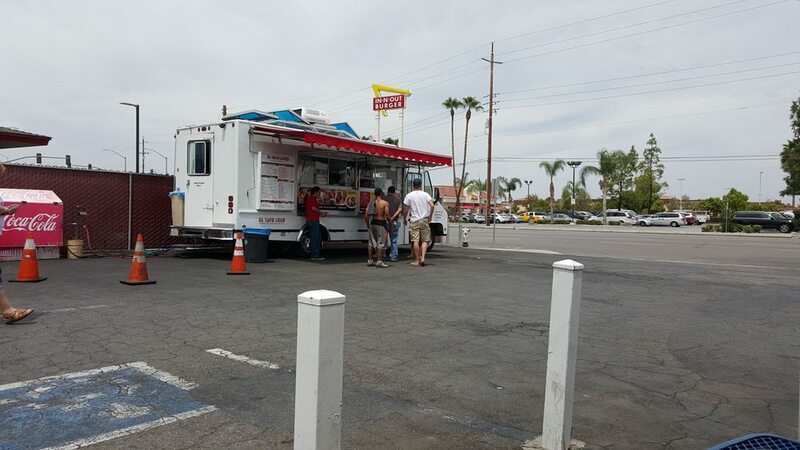 In the parking lot was a gem of a taco truck, EL Taco Loco. If you haven’t already noticed, taco trucks across the country have become a Project Wildness staple. With affordable prices and great food, we’ve been disappointed by next to none. As Nate ordered a burrito, Shane swooped in asking if it looked “legit.” It absolutely was. With seven choices of meat, including beef cheek and tongue, there’s no way this wasn’t “legit.” We picked up our food and walked over to some picnic tables to enjoy the overwhelming amount of food in front of us. We sat with large bottles of cold water we’d picked up from the gas station and began to enjoy a slice of some real Mexican food. As we sat, however, Nate couldn’t help but notice a man walking quickly from trash can to trash can at the gas station only a few steps away. Observing him was interesting. He wore no shirt and his dark skin glistened with sweat from the hot sun. He moved with a mission -- sifting through each can knowing exactly what he wanted. The man walked past our table toward another trash can but didn’t make eye contact. He spent a few seconds sorting through the bin and then turned back. As he passed our table the second time, he made eye contact. “Hey man. What’s up?” Nate greeted. “Ah, just trying to make it by. Hungry, you know?” the man responded. Nate set down his burrito, stood up from the table, and told the man to follow. He followed willfully without a word toward the taco truck. “Pick what you’d like. It’s on me,” Nate told the man. 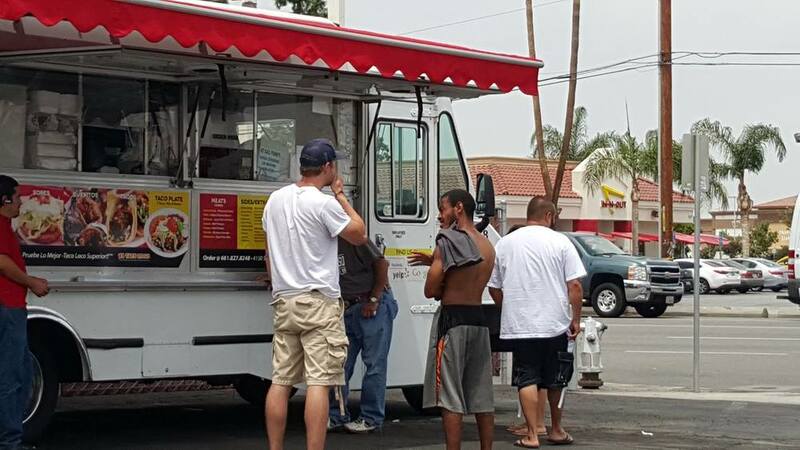 “Oh man, maybe just a couple tacos is alright,” the man said. Nate talked him into three tacos and they stood together waiting for the order to come out. The man’s name was Dre and said he’d come on some pretty hard times. He was quiet. He was humble. He was determined. As they stood together, Dre asked to be excused as he returned to the gas station trash can and looked for something. Dre was looking for cans and bottles; California’s cash refund value earns him five to ten cents an item, which he redeems across the street at a recycling center. Nate stood alone watching as Dre sifted through the trash bins. Ironically, Dre returned with a plastic bag full of bottles and cans -- a few Rockstar cans and plastic juice bottles. They looked all too familiar. Nearly every bottle and can in Dre’s bag had come from our car. As he returned and stood silently by the taco truck, Nate said, “You find some?” “Yeah, this should buy a few drinks, you know?” Dre responded. Drinks? What kind of drinks would Dre buy? The question was tossed around a little and Nate settled on the fact that it really shouldn’t matter. It’s not really our place to judge on what or where others spend their money. He had earned it; it was his to spend as he wished. “Tres tacos de carne asada,” a woman yelled in Spanish. Nate approached the counter and thanked a smiling woman. He passed the bag to Dre and patted his sweaty back. “Here you go. Hope this helps,” he said. Dre thanked him softly and took the taco bag in his free hand. He took his tacos and a bag of recycling across the street as Nate returned to his table. Fascinated, we continued watching. Dre turned in the bag of recycling, received some money, and walked inside a gas station across the street. The questions still flashed in our minds, silently speculating what he would purchase. A minute later, Dre walked out gulping a large bottle of water. Dre was really just trying to get by and worked hard to pick out recycling just to stay hydrated. An honest man. A hard-working man. Just trying to get the basics -- food and water. To Britta B… You gave to this project hoping we could surprise someone by buying their coffee. While we didn’t purchase coffee, we were able to provide something maybe even more meaningful for a well-deserving man. We cannot likely imagine being hungry or thirsty enough to sift through others’ garbage to earn the bare necessities. Your donation helped us meet a man named Dre who worked harder than the vast majority of us just to get by. We can tell you he was grateful with thanks to you. Thanks so much for being a part of Dre’s life and our lives.